As you all know that back in May 2006 Square-Enix has started developing a game called Final Fantasy Versus XIII, a few years later we have never heard anything new and cease to exist. Until last year at Sony’s E3 2013 conference where they have shown a trailer for it and one of the biggest surprises that they have shown is that they have changed the title to Final Fantasy XV for the latest installment after The Realm Reborn: Final Fantasy XIV, a renewed MMORPG from the 2011 to 2012. Final Fantasy XV story is around a character called Noctis, the leader of his kingdom called Lucis – but he is not the king yet. His kingdom holds the very last crystal and must protect it from the kingdom of Niflheim who invades Lucis for the crystal which has begun the cold war against Noctis and his companions. The battle system is like Kingdom Hearts, there is no loading time or transitions. You must control Noctis when fighting similar to Sora from Kingdom Hearts, but Noctis has more than one weapon which in this case, he has an armory with short swords, broad swords, great swords, spears, even guns. During the battle the HUD is placed on the left with three options: Warp, Attack, and Link form; when the toggle button is pressed the menu changed to Item, Magic, and Link Form. Warping and Link Form is brand new in the Final Fantasy franchise. Warp works by locking onto a point or enemy and select the Warp command and Noctis will “warped” to the locked on target. The lock-on points are shown with an orangish-yellow circle, but if you are closed enough the Warp command will be greyed out. Noctis’s warping is limited by the amount of bars in the blue gauge, so when he goes out then he will not warp. 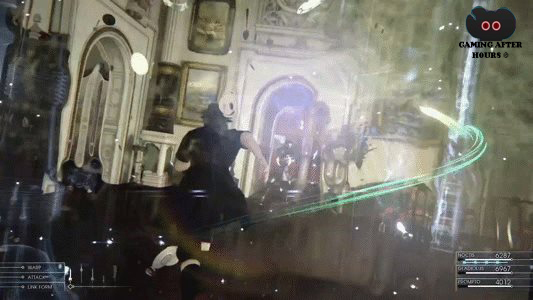 Link form is another command that is new to Final Fantasy XV, because Noctis wields more than one weapon the Link form utilizes every weapon in Noctis’ armory. His weapons rise and circle around him and he strikes the enemy once with each one. The force field-like defense function during the Link Form has not been confirmed. Square-Enix has not confirmed the release date, but they did said that it will be on both Playstation 4 and Xbox One. 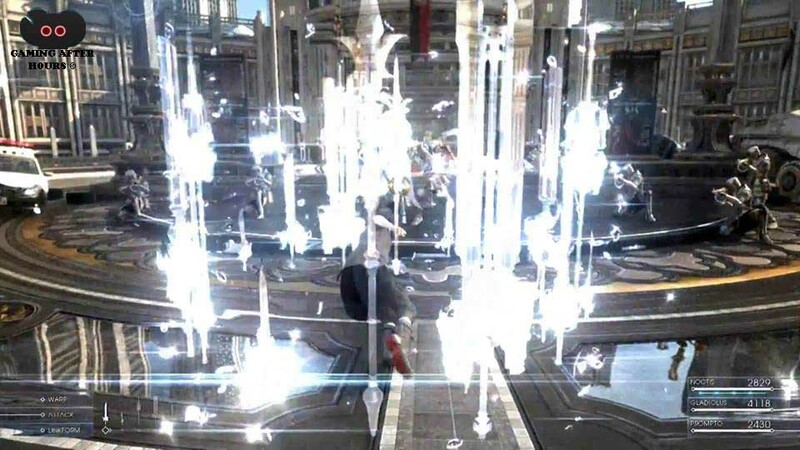 This entry was posted on 06/12/2014 by hershey101 in Microsoft, Sony and tagged E3, E3 2014, Final Fantasy, Final Fantasy Versus XIII, Final Fantasy XV, Link Form, Lucis, Niflheim, Noctis, Square Enix, Warping.